When you focus your marketing strategy on content marketing and build it around a company or a personal blog or website, SEO becomes an important part of this strategy. You need valuable content for your audience and search engines will reward you if you are able to provide essential information to your readers. However, there may not be enough to just write text and create visuals in order to get on top. A fruitful SEO strategy is also a must. With this article, I will try to answer therefore some of the most important questions a marketer or a blogger seeks today: How to get on top? How to achieve position zero?, and How to create and optimize your articles for Featured Snippets in Google search results? Why are Feature Snippets important? How to create content for Featured Snippets? Let’s start by defining our main terms and move along with our main topic. A. What are Featured Snippets? When we refer to feature snippets on Google search, we are also referring to the term known as “position zero” on the same search engine. When one of your pages is displayed as a feature snippet as a result for a specific search on Google, you are actually qualified for position zero which means that your link will appear on top of all other top results. This is why it is important to optimize your content for featured snippets and hope to get there before your competition does. In order to better understand the idea, let’s perform a quick search on Google and see what happens. For the purpose of this article, I will search for something general such as “how to tie a tie”. 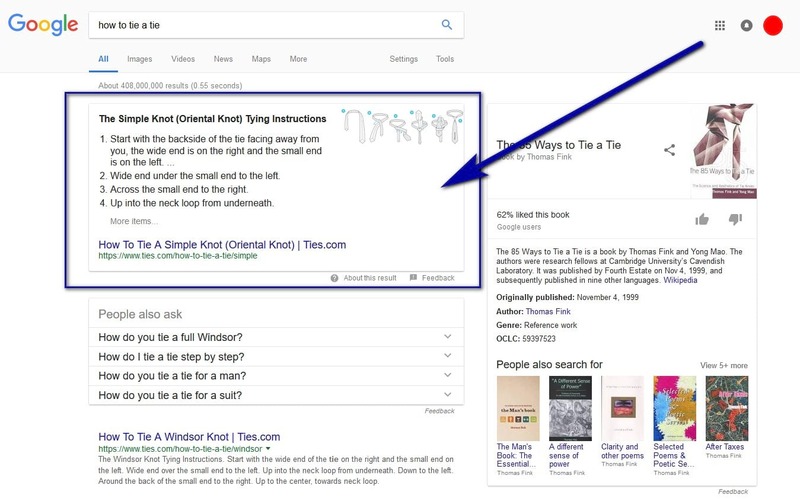 The search result that I have framed in a blue rectangle is actually the featured snippet, the position zero in Google search, the first thing the audience sees when searching for that specific keyword or phrase. B. Why are Feature Snippets important? For decades, webmasters and marketers have been troubled by the same question: How to achieve the first position in search results? And, as Google is the most important search engine, people were always looking to achieve that position on Google first and only then, to optimize for other search engines such as Yahoo or Bing. The first position in search results becomes even more important when you have to compete with other similar websites or companies for the same relevant keywords and key phrases. It has become almost an obsession for SEO specialists and amateurs and for good reasons. According to some studies, the click-through rate is significantly increased when a page ranks high on the search engine’s result list. As you can see, nearly 50 percent of all traffic is generated by the first position in the search engine’s results list. The CTR drops by half for the second position and it continues to drop until it becomes almost insignificant for the last 5 positions of the first page. The second and the third results pages are irrelevant. This is why featured snippets are important. They appear on top of the search results, above what SEO specialists know as “position 1”. And, this is why you should adapt your SEO strategy to actually create the content that can and should be featured as a snippet and drive even more traffic to your blog or website. C. How to create content for Featured Snippets? We know why featured snippets are important and we also know that we should optimize our pages for position zero. What we don’t know just yet is how to do it. In this part of this article, I will try to explain in detail the entire process and I will also give you an example of a blog post from my own website that got to this desirable position for a specific key phrase. Let’s start by analyzing the major steps you need to undertake in order to get your content featured as snippets on Google search. The first thing you should do is, of course, to research your content. In other words, you have to select your topics based on specific keywords and the main interests of your targeted audience. Is this a valuable topic? Would people be interested in finding more about the selected topic? How popular are the selected keywords? How many searches per day/month are there? What does the competition write about? What do the key influencers share the most? What types of content do they like? It may seem a little bit too difficult to get your answers right away, especially if you engage in traditional research which can take a while to get done. 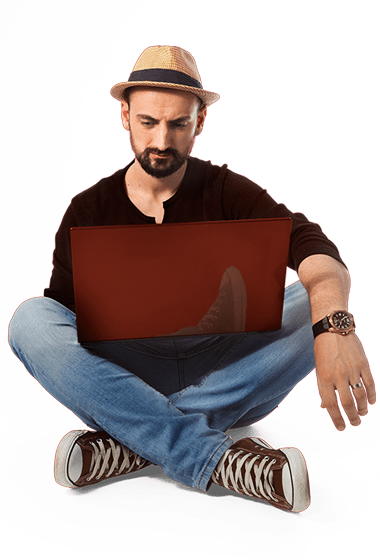 Fortunately, I know a better solution to this issue, an extraordinary web-based app that will answer all your questions and help you better organize and plan your content. It’s called Buzzsumo and you can access it here. 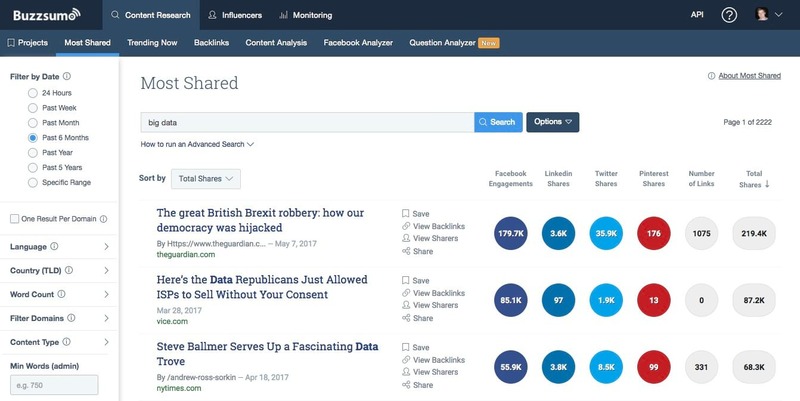 What can you do with Buzzsumo and how to use the app? Well, the tool is commercial and therefore, it does not come free. However, it’s worth the money invested in your subscription and if you need proof of that, there’s a free seven days trial period available, just in case. I suggest signing up for the trial week and test the app yourself. 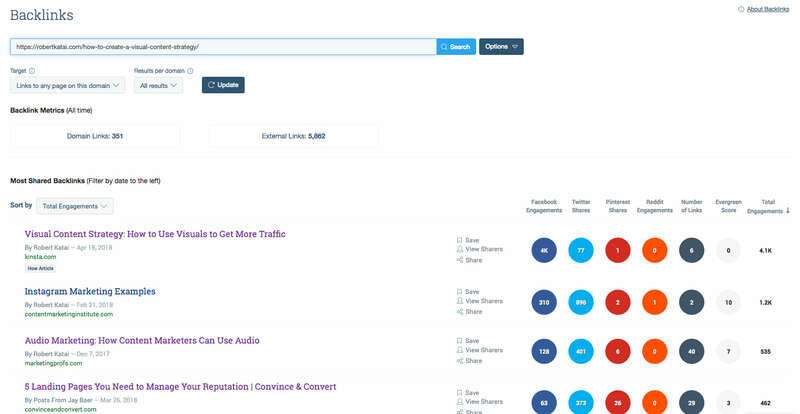 Now, regarding what you can do with Buzzsumo, there’s a whole list of them. The interface is easy to understand and accessible for everybody. The header section features the main tabs. Each of these tabs encompasses a specific tool designed for a specific type of research. Thus, you can look up for social media shares for a specific group of keywords, you can research the online trends for them, the backlinks generated by specific pages, perform content analysis and so on. There are also tools for Facebook and questions analysis. You can create a new project for each search you perform and perform thorough analysis of every new blog post you are about to write, post and share with your audience. It’s great to get to position zero for a specific page but it is even greater if you manage to do so for more than one pages. That’s one of the many reasons why content research is important. 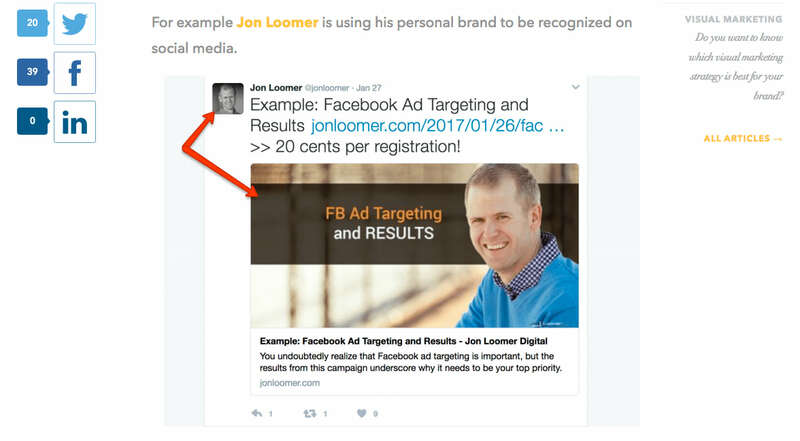 When someone asks me to give examples of some of the best content marketing strategies, there are several names that come to mind. One of them is Neil Patel, and if you did not bookmark his blog just yet, I recommend you to do it right away. He’s a must read in this industry. Moreover, he’s all in for helping others and as a proof, he shares some great tools on his website. One of these tools is Ubersuggest, a web-based app for keyword research that in my opinion, it ranks as one of the best tools I have ever worked with. It is also free and easy to use and this is why you can try it without fearing that you will lose money or precious time. There’s a standard text entry form available in the header section of the website. Insert your keywords there, and perform a quick search. You will get all the possible related groups of keywords you might want to use, the monthly search volume, information about CPC and competition. If you have paid attention until now, you may already have a clear image of how a featured snippet looks like and which are the best ways to qualify for this position. I will repeat it, however, just for your information: You need to answer questions and you need to do it in just a few words. You need to use simple and easy to read sentences. Before writing your pieces, however, you need to brainstorm for really good questions. Fortunately, there is a tool that will help you save time and find some really good questions and spend your precious time actually writing your pieces. It is called Answer The Public and it’s available online, as a web-based app. Here’s how it works. As you can see from the screenshot, there’s a search form available at the bottom. Use it to fill in with your desired keywords and click on Search. You will get a series of results and some really good questions you can answer with your future articles. Before moving to the next step, I have to mention that “Answer the Public” is free for individual bloggers and marketers. However, there is also a commercial version available for agencies and experts that comes with some extra features and the possibility to add multiple team members. First, make sure your text is easy to read and easy to understand. Use short sentences and answer the main question is as few words as possible. Use bullets when you have to list something and proofread every sentence before publishing the article. Then, don’t forget to add visuals and a featured image to your article. Visuals are very important for two reasons: They make the article look better and be easier to read and they attract visually the reader, especially when the chosen featured is relevant to the article. You can also use graphs and infographics to add more valuable data to your blog posts, data that is easier to read and remember than blocks of text. This step is strongly related to the previous one. I have already mentioned the importance of using bullets. White spaces. They are important because they add readability to your text. Besides, the entire article will look more elegant and professional if there are several blocks of texts separated by white spaces. Typography, headers and sub-headers. Fonts and headers are important visual tools that make the text more readable and more stylish in look. While fonts are not particularly relevant for a feature snippet, they are important for when the reader clicks on the link and lands on your page. On the other hand, headers and sub-headers are important for SEO and therefore, relevant to your all optimization process. You can also use tables if needed and visual graphs as well. Use citations and links to relevant resources. Optimize the content by linking from other articles and websites. 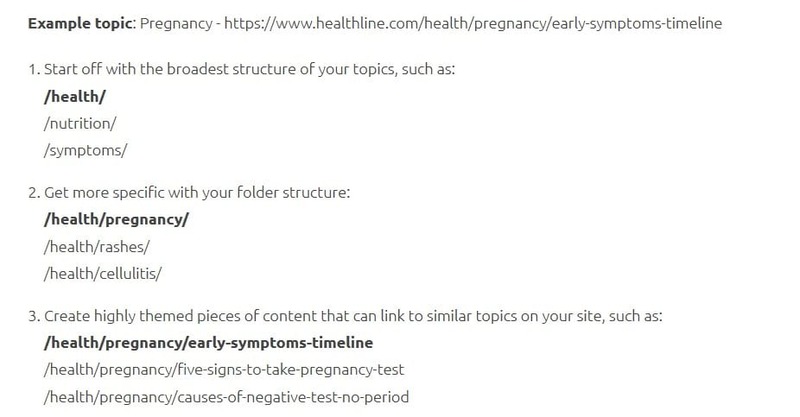 You can also use internal links, if you have other relevant articles that should be cited. Make sure at the same time that all the external links are also valuable for the audience and relevant to your topic. Apart from the already traditional optimization for mobile which refers to speed, responsiveness and several other technical specs, you can also optimize your content for mobile featured snippets as well. 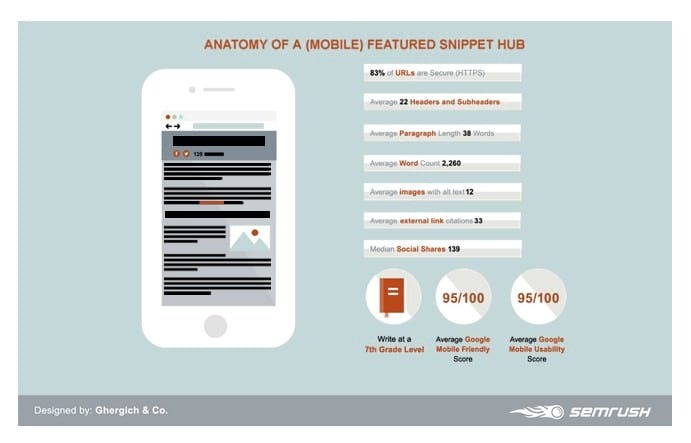 SEMRUSH have published recently a thoroughly documented study on how to optimize your pages for mobile featured snippets. Basically, everything we’ve already learned here, the steps we’ve undertaken in order to optimize our content, are generally applicable to mobile as well. Use short sentences and easy to understand and read pieces of text. Break chunks of text with headers, sub-headers, and relevant visuals. Secure your URLs with Https. 73% of all domains ranking in Google’s top results are secured. Cite your evidence and prove to your audience that your facts are real. Research everything and don’t think that external links will negatively affect your ranking. They won’t. On average, Semrush found no less than 33 external links citations on each page that qualified for position zero. Optimize the architecture of your URLs. The final step would obviously be the one where you get to actually publish your content. At this point, you should also consider distributing your link on the main social media channels. Also, if your piece is indeed valuable, you can expect citations with backlinks from other blogs and website which will also help you rank better on search engines. The more relevant a backlinking website is, the better would be for your overall SEO efforts. Remember the first paragraphs of this text? I made a promise to also show you a working example of how to build your article for featured snippets. Well, before concluding, I will keep my promise and we are going to review together one of my previous blog posts that got the position zero for a specific set of keywords. 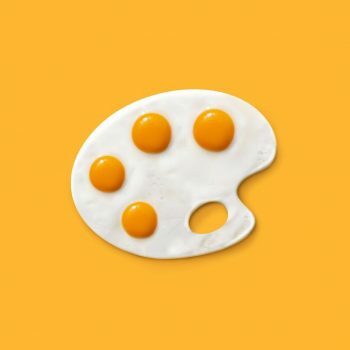 The title of the example article is “How to create a visual content strategy”. It was optimized for the specific keywords “visual content strategy” and it got to position zero for them almost immediately. How did I manage to do so? Well, I have followed the above steps to the letter and used all the help I could get from the apps described in the previous chapters. Keyword research. I have used relevant groups of keywords for the selected topic. 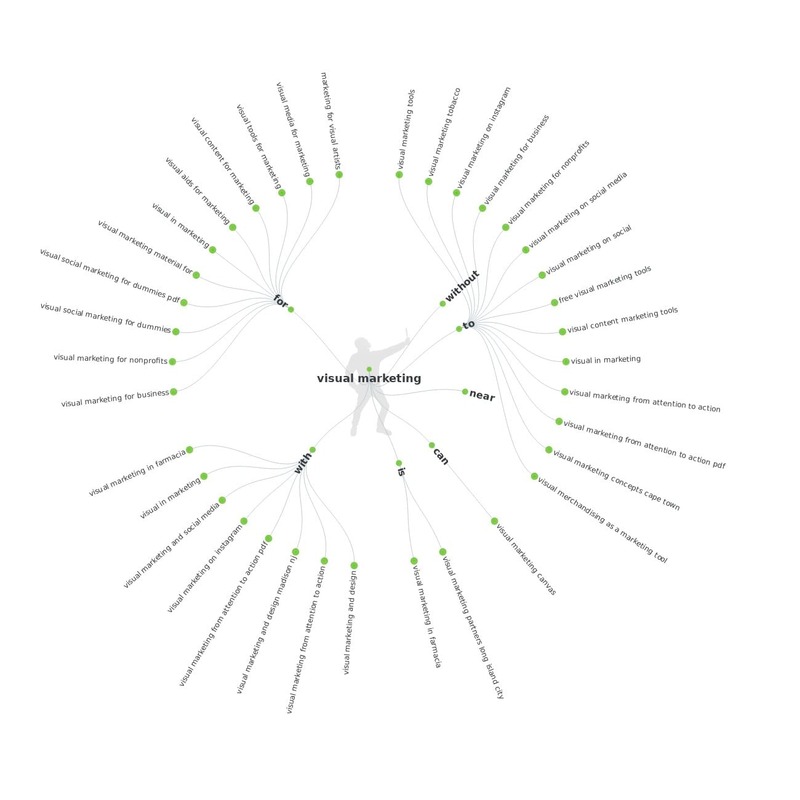 Besides the main keywords, I tried to use as many related keywords and phrases as possible. Tools I used: Moz Explorer, Ubersuggest & Answer the Public. Content research. While the article is long, I made sure everything I said is well documented and easy to read and understand. There are also examples that help the reader better comprehend the main concepts. Tools I used: Grammarly, Buzzsumo. Outside links. When needed, I used citations and linked back to the main sources of information that were relevant to the topic. Also, I linked back to some of my relevant guest posts from other top websites such as Kinsta, CrazyEgg, and Visme Blog. Questions research. As previously advised, I also used “Answer the Public” to find some key questions that should be answered by the published article. I chose the most relevant of these questions, answered them and let the Google crawler to do the rest. I used as many relevant images I could find in order to break blocks of text and offer visual aids to the readers.. The feature snippet or the so-called Position Zero. Unlike other types of rankings, this position depends almost entirely on the quality of your content and its relevance for a specific audience. What do you think about featured snippets and how often do you optimize your content for this new strategic search engine position?